Samsung Galaxy Note9 User Manual PDF - Get the link to download Samsung Galaxy Note 9 User Manual PDF then learn how to setup and settings the right way with our Galaxy Note 9 tutorial tips and tricks in a complete guide here. You may had read Samsung Salaxy S9 user manual before. The latest Galaxy Note series is Galaxy Note 9. Samsung released Note 8 August 23, 2017 and we guest Samsung Galaxy Note 9 release date August 23, 2018. 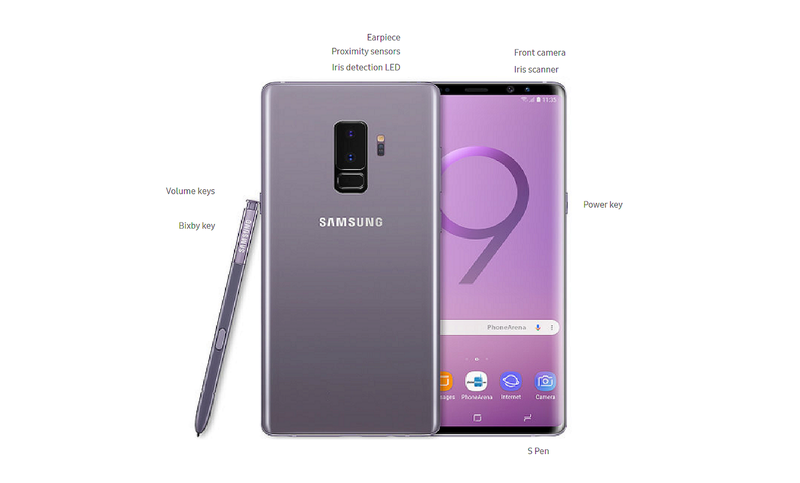 Samsung Galaxy Note 9 specs new Qualcomm Chipset and or Exynos 9810, ‎6 GB RAM, ‎64 GB internal storage, 16 MP camera features 6.0-inch display with a screen resolution of 1080 x 2048 pixels and runs on Android P for Galaxy S10 maybe, and some web get Nougat version. Latest Bixby 2 for Note 9 features S Pen with improved version. This improved S pen support the water resistance IP68 and many capable note features as it smooth sealed by Rubber and Silicon. The new Note 9 S Pen performance enhancement, you can write notes like use a real pen more sensitive with it can recognize writing pressure from 2048 to 4096 and reduced the S Pen nibs diameter to 0.7 mm. 1. 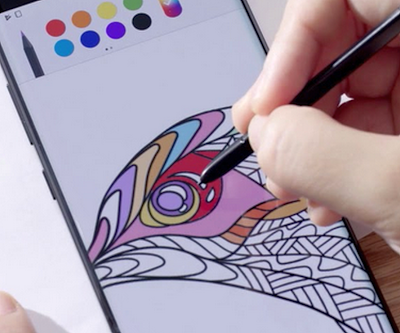 Take out your S Pen from Galaxy Note 9, from Home screen, swipe up to access Notes Apps. 2. Choose Samsung folder then you tap Samsung Notes. Text this option to use Samsung keyboard to type text. Pen if you choose it you can use your finger or the stylus pen to write text. Brush it choose for the best drawing pen mode. Image is an option to insert any pictuce into the note. Voice with this features you can use your voice to insert text into the note (just speak to write test) . 4. Tap Save when finished. 1. Open Samsung Note Apps. Browse your note entries by swiping up or down. To search your saved note, tap Search. 4. Tap the content to edit your notes. 5. Just Save after finished. Manually tap Settings than choose Advanced features , choose S Pen to configure advantages settings for Air view, Air view,Direct pen input,Pointer, and Screen off memo. Download Samsung Galaxy Note 9 Manual PDF to read more settings and learn to mastering Note 9 by read the Galaxy Note 9 user guide manual or instruction.